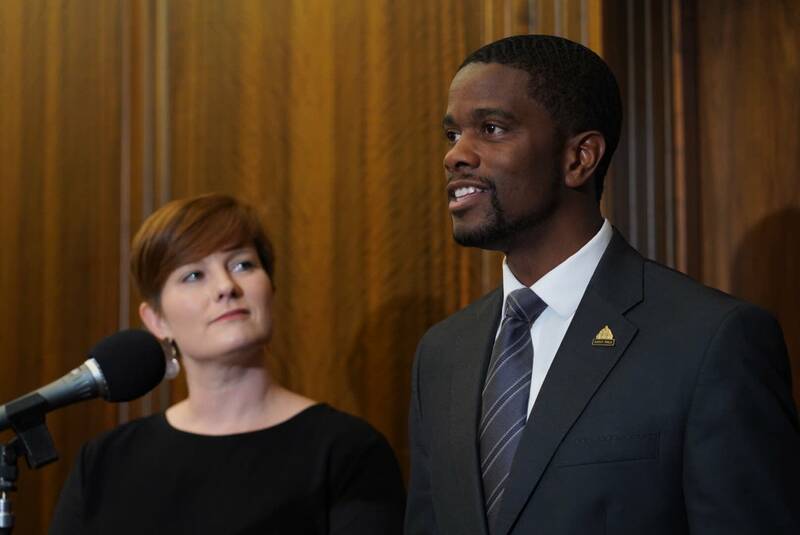 St. Paul leaders announced a $15 minimum wage proposal on Tuesday, marking a milestone in the lengthy debate over whether and how the city should raise its wage floor. The City Council will give the ordinance its first reading Oct. 17. Under the plan, businesses will begin phasing in the wage hike in 2020. • Large businesses with more than 100 employees must have a $15 minimum wage by July 1, 2023. The minimum wage will be indexed for inflation annually beginning in 2024. • Small businesses with 100 or fewer employees must hit $15 an hour by July 1, 2025, and start adjusting for inflation in 2026. • Micro businesses — which employ five or fewer people — will have $15 an hour by July 1, 2027, and adjust for inflation beginning in 2028. City of St. Paul employees will start getting $15 an hour by July 1, 2022, with the phase in period beginning in 2020. The plan doesn't include a "tip credit," which would've allowed employers to count tips toward hourly wages. Whether to use a tip credit system or a flat minimum wage was one of the most contentious pieces of the minimum wage debate in St. Paul. The Minneapolis City Council OK'd a $15 minimum wage last year. People working at large businesses are already getting $15 an hour. The St. Paul council must approve the ordinance. Five council members expressed their approval in a statement released Tuesday.